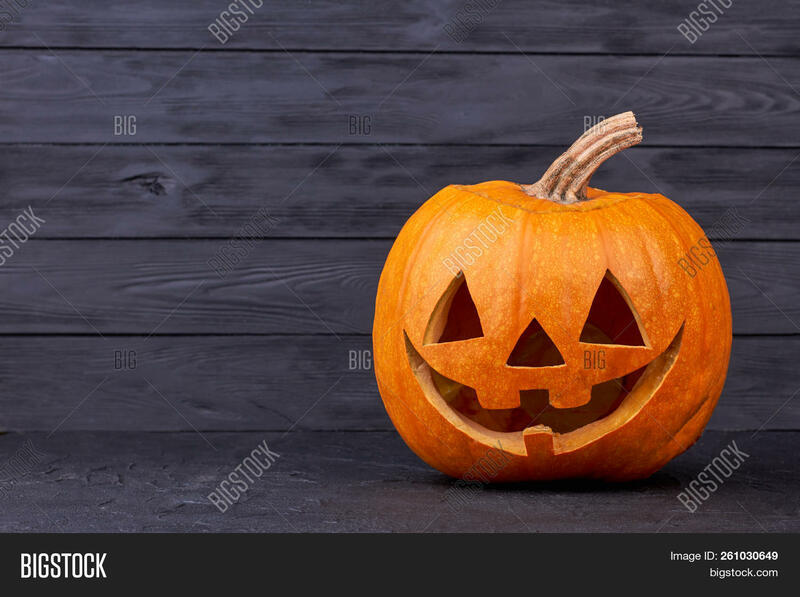 Halloween pumpkin with happy expression. 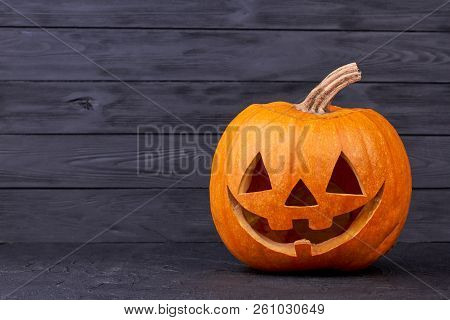 Halloween pumpkin head with smile on black background, copy space. Halloween carving ideas. Halloween greeting card.